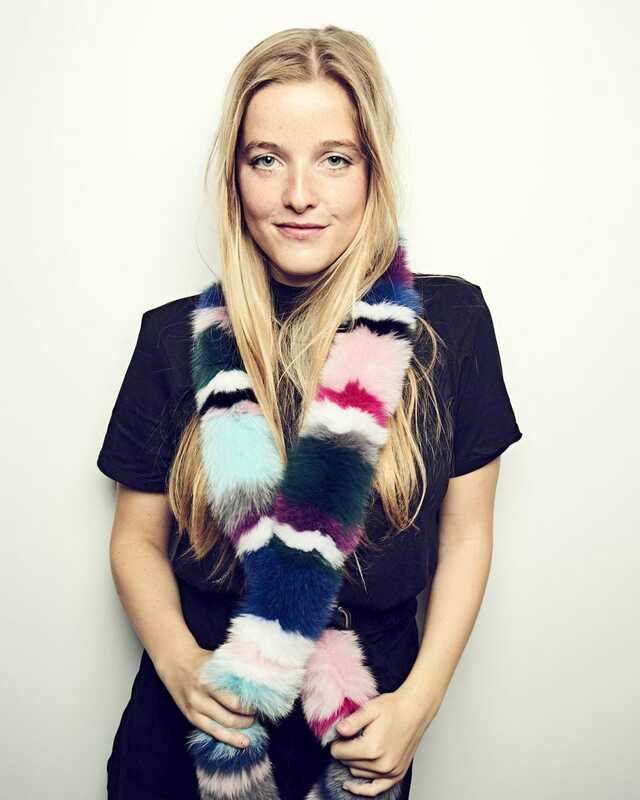 Designer, Charlotte Beecham founded Charlotte Simone, London’s most iconic colored faux fur and fur accessories brand in 2011 straight out of college with a ten thousand dollar loan from her father. Fast-forward to today, and she has created a multi-million dollar brand with stockists all around the globe and a slew of loyal fashionistas who can’t get enough of the colorful and playful “fluff” that Charlotte Simone has become known for. “I studied at NYU, but I spent my freshman year of college in Paris. I studied Literature and Art, but fell in love with fashion and the pastries instead! The women in Paris are beautiful! I was inspired daily by the effortless style of Parisian women and their ability to build an outfit around a single accessory. One day, my head turned on the streets of Paris when I saw a beautifully dressed lady all in black wearing a huge statement scarf. It was in that moment that I realized I wanted to reinvent the everyday scarf, an accessory I felt was still left untapped. Seeing a gap in the market I designed the ‘Popsicle’, what has become our signature scarf and the rest is history”, shares Beecham on how the idea for her brand came about. One of the unique attributes to the brand is the fact that every item is offered in both faux fur and real fur. “We have always created pieces in both real and faux. In truth, I believe in catering to every consumer but over the years the development in the faux fur industry is so amazing allowing for quality that near mirrors the real thing! We are using faux more and more and real fur is becoming a thing of the past. Faux allows for a better price and now looks and feels as good as the real thing. Our fur is from origin assured farms. We only use high quality manufacturers for these items. It is important to us to make sure that the people we work with share our values. As a company we are always keeping up with newest certifications for ethical fur and of course our ethical standards”, states Beecham. From bold rainbow stripes to more classic styles, Charlotte Simone offers an accessory for any occasion and every wearer.